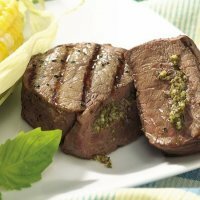 This bacon stuffed beef tenderloin is stuffed full of flavor. It's a grill master's dream and is sure to please all steak lovers. Filled with turkey bacon and corn bread stuffing and seasoned with a butter, garlic and herb brush this will wake up your taste buds. So uncover the grill, put on your grill master apron and let's get grilling. It's grilling season. 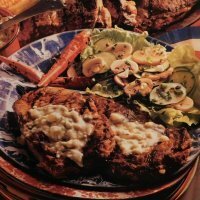 This recipe has a ton of flavor and is perfect for all steak lovers. Cook bacon in a large skillet on medium heat until almost crisp. Place bacon on paper towels and let cool. Heat oil in skillet. Add onions to the skillet and sauté for approximately 2 to 3 minutes. Add cornbread stuffing mix and water to skillet mixing well. Crumble bacon slightly and stir into stuffing mix. With a sharp knife, create a pocket in the side of each steak. Melt butter in microwave. Brush on both sides of the steaks. Mix in garlic and herb seasoning. Brush butter mixture on both sides of the steaks. Place on grill and cook for 4 to 6 minutes. Turn steaks and cook an addition 4 to 6 minutes (or until desired doneness). Remove from grill and cover with foil. Allow steaks to rest for a couple of minutes. All ingredients were included when calculating the Weight Watchers Points. To broil the bacon stuffed beef tenderloin, place on broiler pan; broil 4 to 6 inches from heat using times above as a guide, turning once. You can use regular bacon if desired for more flavor. This will add a lot more calories and WW points, so be sure to adjust the nutrition accordingly. 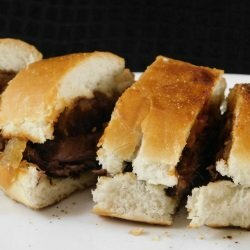 Bite into this bold BBQ tasting sandwich for something different. 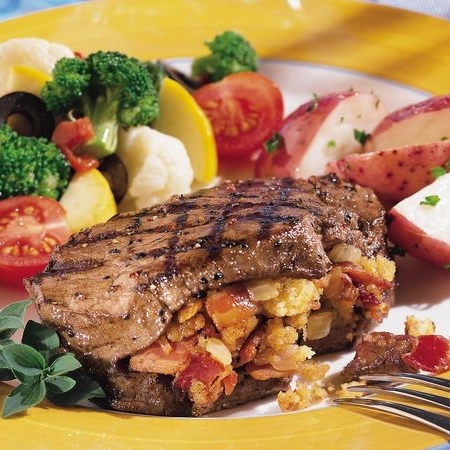 This juicy delicious grilled steak has lots of flavor for steak lovers. Fire up the grill and stuff yourself with this flavorful stuffed ribeye steak. 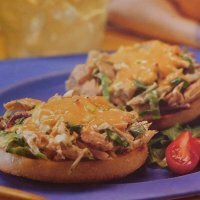 This quick and easy sandwich will melt in your mouth and the tuna is a zero points food item on the FreeStyle plan. 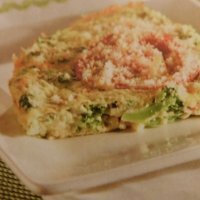 This crustless quiche makes for a delicious hot meal without extra carbs or Weight Watchers Points. 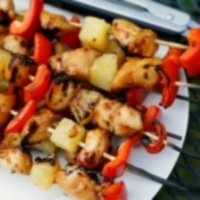 This grilling recipe makes for a tasty appetizer or use it for the main dish. If you are in the mood for chicken tonight, then try one of these recipes. To eat or not to eat before your workout? That is the question. Read this article to find the answer. Cooking at home gives you the control over the way the food is prepared and minimizing the fat content.